I wish I had got better pictures of this lovely butterfly. 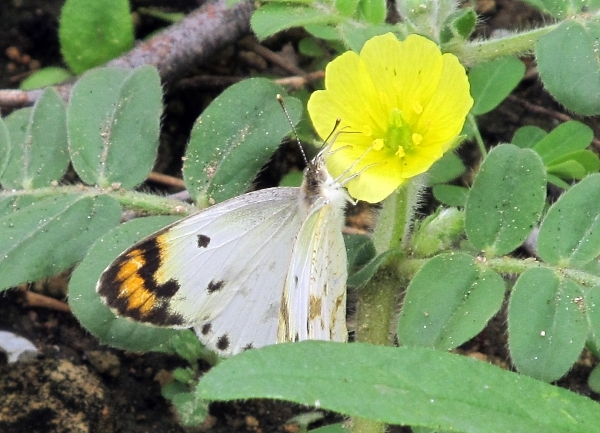 The male looks rather like a European orange tip, with rather plain orange areas at the tips of the wings. 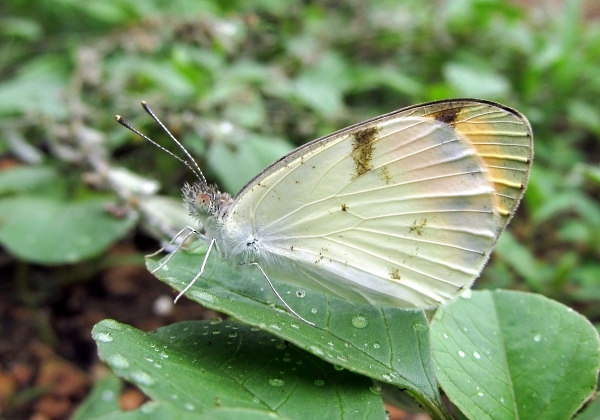 The second picture shows a male but it was taken during rains, when none of the butterflies wanted to open their wings when resting. The femalehas considerably more black obscuring the wing tips.